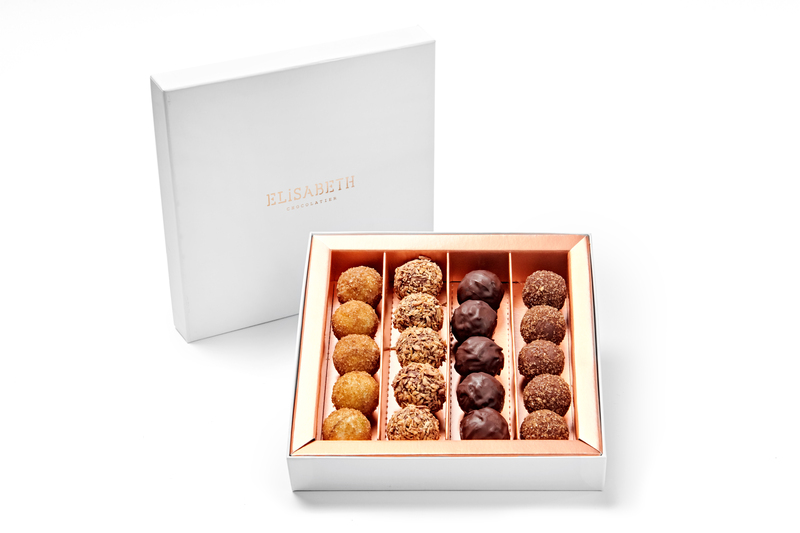 20 delicious truffles in a beautiful elegant square box. 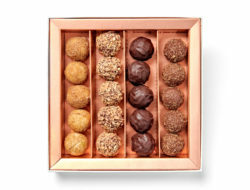 This box contains truffles without alcohol. 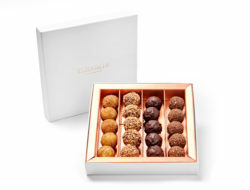 The different flavors are: Dark, milk and white chocolate truffles with praliné and brown sugar. 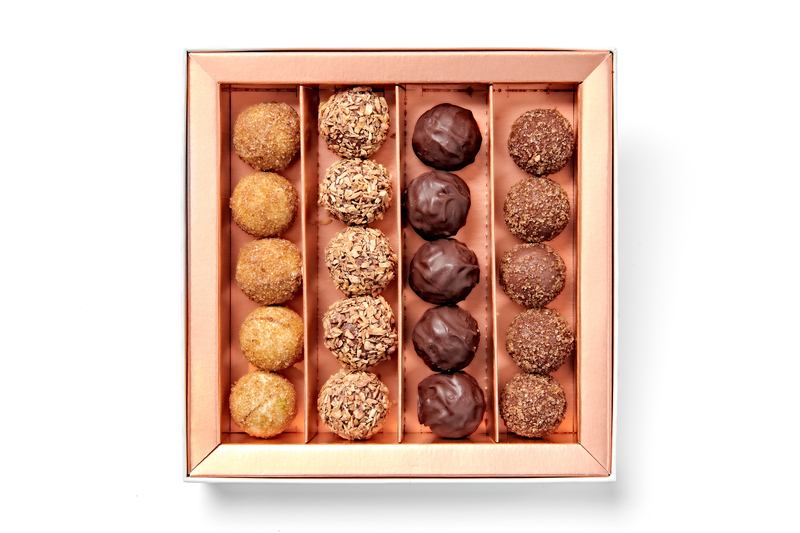 Milk and dark chocolate truffles with crispy feuillantine. Coconut truffles with caramel.